I spied some Bed Sheet Grippers in the Dollar store and put them to Frugal Baby use! 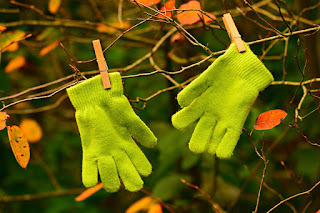 • to clip mittens to their coat sleeves. • to clip boots and shoes to their pants or snow pants for non-walkers. • under the foot, clipped to each pant leg, to keep their legs covered. • I use another one to use to keep baby's shirt tucked in, fastening the shirt at the front and back over a diaper.